Welcome to All Things New Again! All Things New Again is a boutique furniture store and paint studio located in Leesburg, Virginia, about an hour or so west of Washington, D.C. We specialize in handpainted furniture and home décor with an emphasis on upcycled elegance. We love rescuing old, unwanted furniture and transforming it into wonderfully unique treasures for your home. We are also retailers for Dixie Belle chalk/mineral paint, Real Milk Paint Company milk paint and Unicorn Spit rainbow gel stain/glaze. All of our paint lines offer zero VOC’s—making them safe to use indoors and around your family and pets—and are made in the USA. Our shop is constantly changing. New items come in every week—you should too! Our one-of-a-kind painted furniture is showcased in the downstairs rooms along with home decor items. Upstairs—at the Top of the Shop— you’ll find our treasure hunter’s attic, a hidden gem loaded with unfinished furniture in need of a little love. This is the perfect place to find your next great DIY project. If you see something you love here, take it home and paint it yourself or we will be happy to custom paint it for you. All unfinished pieces have two prices on the tag: a discount “as is” price and the price for us to paint it for you. We will work with you to design a look you will love and create a unique work of art just for your home. 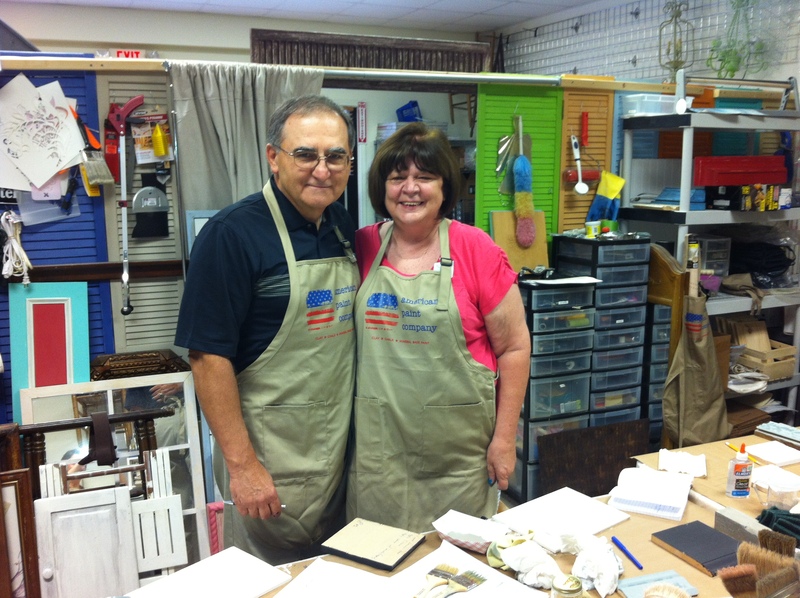 We offer both beginner and advanced paint classes in our artist studio and classroom in Leesburg. If you have never held a paintbrush before or if you are an old pro, you will learn new techniques, try out new products and have a lot of fun. Click here for our current schedule of classes. We have been in business for more than 30 years. We started woodworking as a hobby in the 1980’s, but soon had more hand-made shelves than wall space so we started a business called Sawdust Specialties. 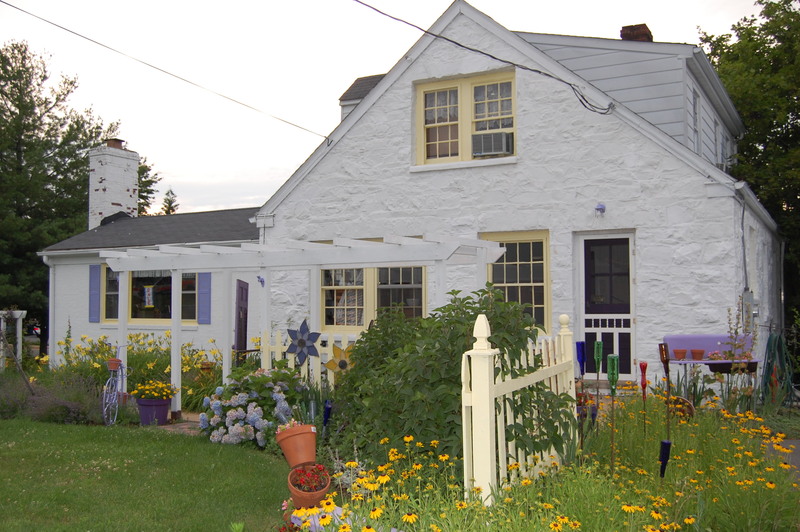 After doing craft shows for many years, we purchased this little white house in 1998, recruited 50 local and national artisans, and opened our first shop. After 15 awesome years of operating Sawdust Specialties, we decided it was time to retire so we closed the shop in 2013. That didn’t last long. While fixing up the house to sell it, we kept coming up with great ideas! Instead of retiring, we renovated the space, started collecting and painting furniture—and All Things New Again was created. We want All Things New Again to be a hub of creativity and a gathering place for friends. We always have a lot of fun. What a beautiful home! Your style is awesome, and thanks for following!